EXPLORE THE THREE YEAR OLD CURRICULUM. In the Wood Acres Three Year Old Program, early reading skills are cultivated through a print rich environment that encourages students to use their innate curiosity and enthusiasm for learning. Purposeful inquiry is at the heart of our literacy program that awakens the scientist and the explorer in every child. The Wood Acres early numeracy program offers an activity-centered, manipulative math program in which students learn through the five senses. Materials, from pattern blocks to acorn tops, are real and physically present before the student, engaging the child’s senses. The activities are, in themselves, enjoyable and interesting. Embedding significant mathematical learning in play and classroom routines allows the integration of mathematical learning throughout the day, not just during “math time”. Initial work with calendars, schedules, times, etc blend naturally here as well. 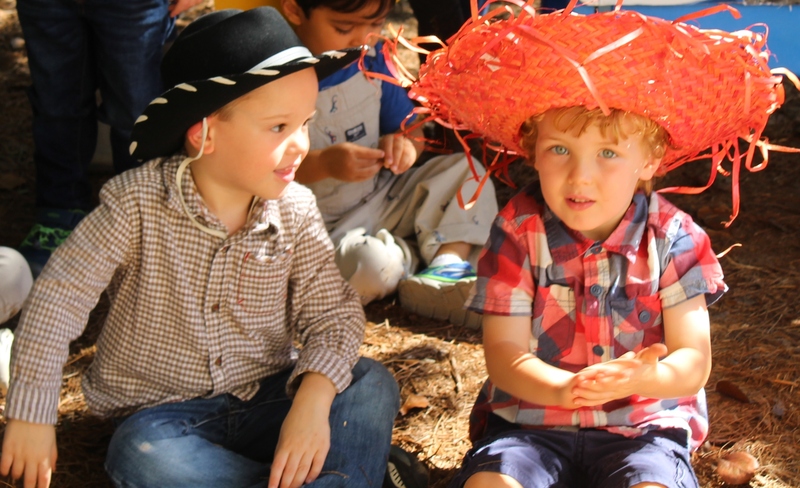 Students in the Early School Program will gain a global understanding of self, people and their lives, friends and family, and their immediate environment. They will also gain an increasing awareness of the relationship between themselves and the groups to which they belong. Wood Acres students will learn how to contribute to the successful functioning of the classroom community. They will also discover the similarities and differences among people in global communities. It is never too early to begin looking at the world through a more global perspective and learning how to serve others. Three year old children are naturally curious about the world around them. Wood Acres Three Year Old students begin activities in exploration, investigation, and observation. They will develop their observational skills by using their senses to gather and record information. They will begin making predictions and have discussions about their ideas, critical initial stages of embracing the scientific process. Students will examine change over time in natural settings as well as develop respect for living things in the environment.